NEW FOR 2019! 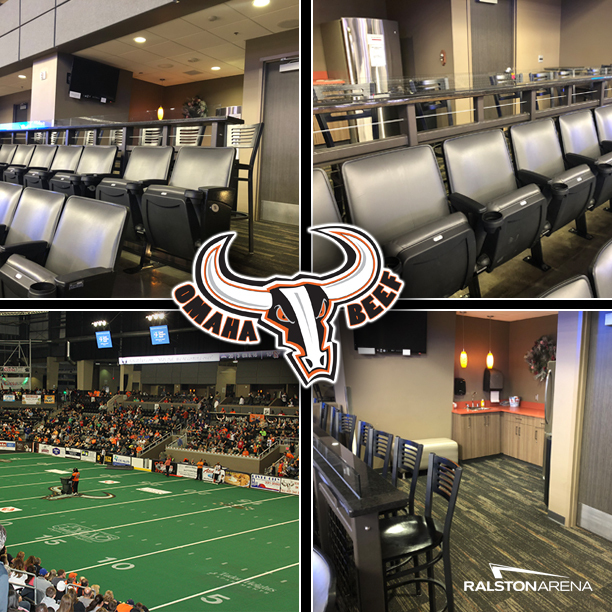 Purchase a Luxury Suite for your next outing at the Omaha Beef! Ralston Arena is one of the Premier Venue’s in the Champions Indoor Football League. A Limited Number of Suites are available for the 2019 season. Our Luxury Suites can be purchased for 1 or all 7 home games during the 2019 season. Suite Packages start as low as $400! • Personal Visit by the Defiance Harley-Davidson Prime Dancers!